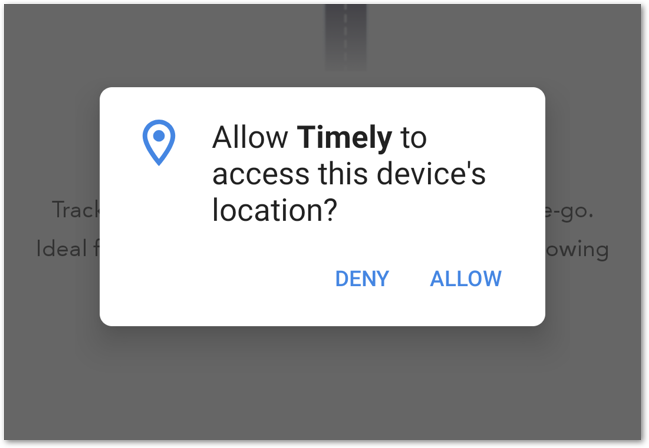 Timely's Android GPS tracker lets you track where you have been and for how long. It's super helpful for tracking overrunning meetings, travel and active work away from your desk. Timely will track precisely how long you were at a specific address, making it easy to see how long it took to get there and back! 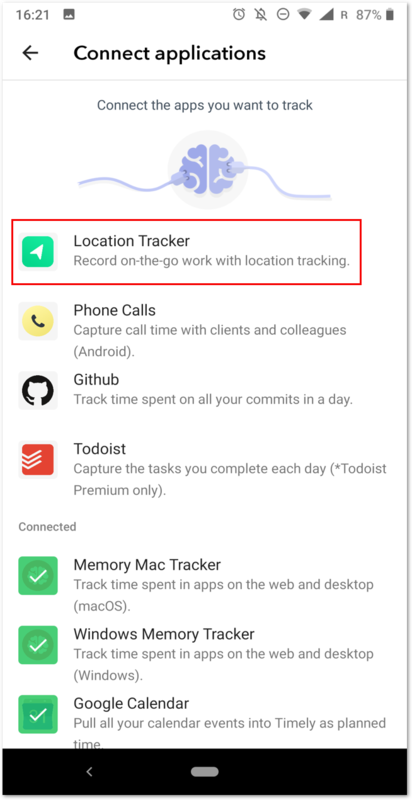 To start tracking your location, open Timely's Android app. 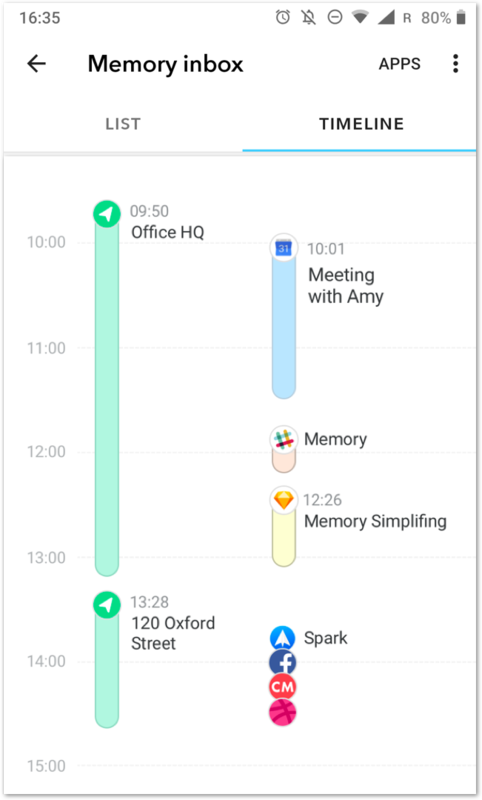 Head to the Hours tabs on the lower left-hand side of the app, and click the brain icon to open your Memory inbox. And enable tracking to start tracking your location on-the-go! 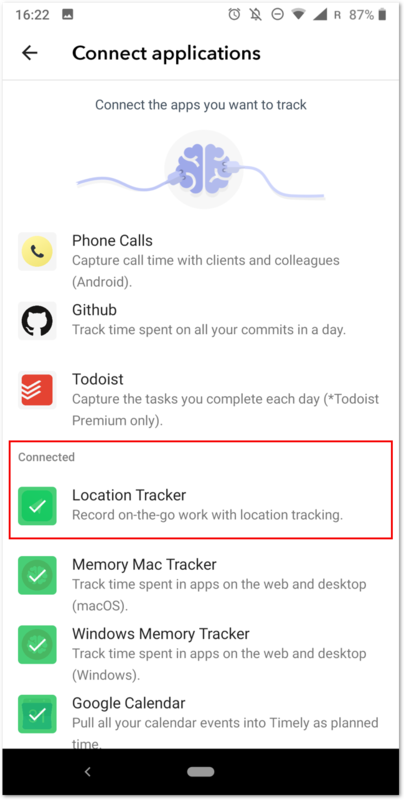 The location access on your phone needs to be activated for Timely's location tracking to be enabled. 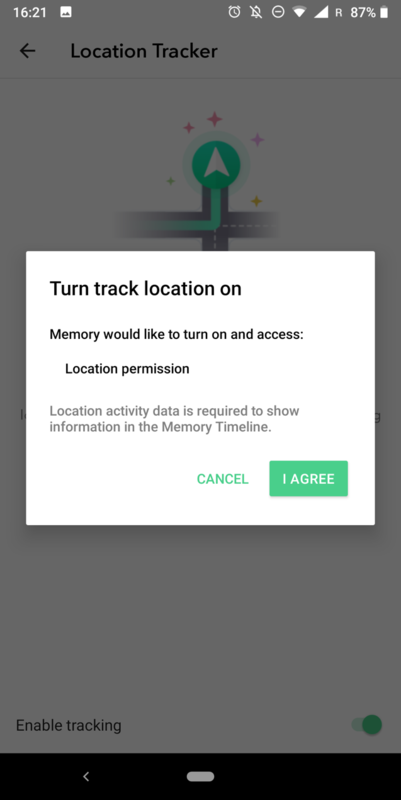 Once you've enabled tracking, you'll need to accept location permissions to allow Timely to gather the necessary information. And you're all set! 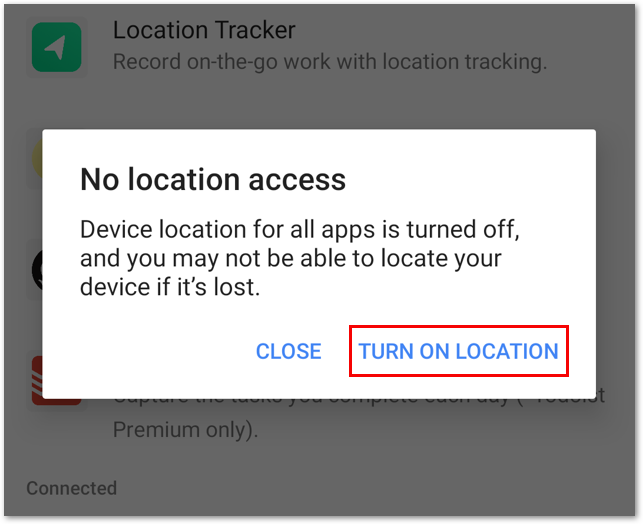 Go back to the 'Connect Applications' screen to see 'Location Tracker' as a connected app. From your Memory timeline, you'll soon see all the places you've been throughout the day. 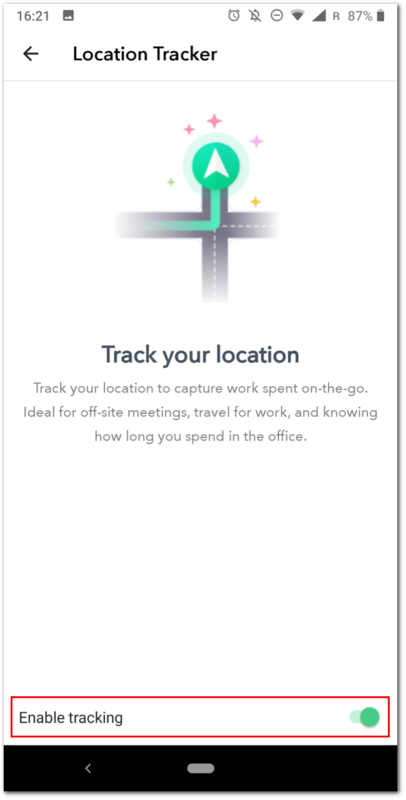 Use your location to help you log your hours more accurately, so you'll never miss a billable minute! Why are addresses only showing up for my location? Addresses are only showing up because GPS tracking registers your location based on your actual GPS coordinate, assigning that address to your displayed location. Can I name the address as a location? Not just yet, but it's on our roadmap and we'll hopefully be releasing this feature very soon!